Nearly a year after Google stopped selling its Google Glass product, and five months after a patent hinted that the tech company wasn’t quite done with the device, a new version of the hi-tech glasses is apparently on the way. A new filing on the Federal Communications Commission website hints that the next iteration of Google Glass comes equipped with a slew of new features, including foldable arms and a larger screen for viewing content. 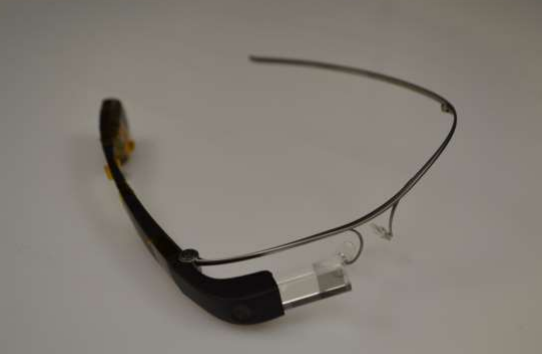 The new filing, which comes five months after the last FCC filing for the device, shows the first images of the new Google Glass and a users’ manual. In all, the main different — physically — between the new version and the defunct “Explorer Edition” is the foldable arms, a feature that was said to be the most-requested by previous Glass users. The device is planned to be only distributed through the Glass for Work startups, and likely won’t be available to consumers in any capacity, at least for now, 9to5 reports.